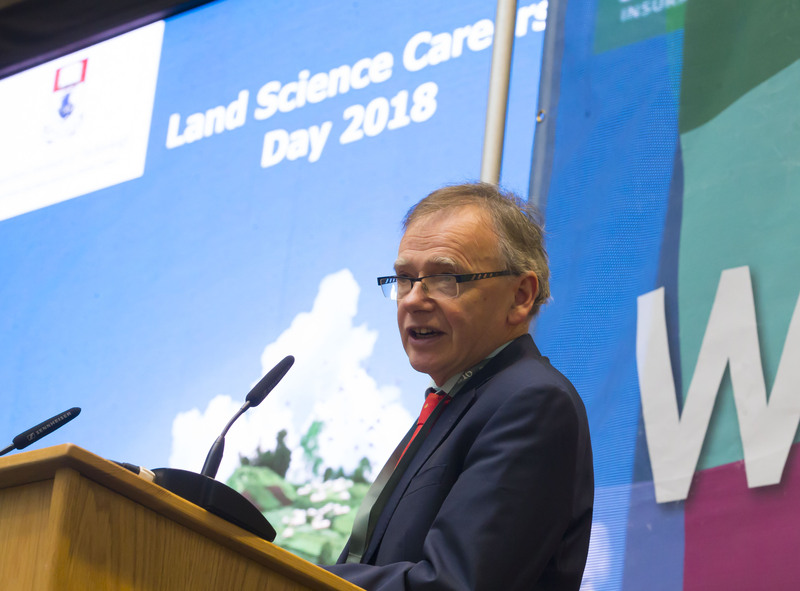 The WIT Land Science Careers Day which was held in the WIT Arena on WIT’s West Campus on Friday, 9 March, proved a huge success. In total, 45 Agriculture / Agri Food Processing / Horticulture / Forestry companies attended on the day. A full list of companies who were in attendance can be found on the event page. One of the organisers Tony Woodcock says the event was well received. Talks took place in a number of parallel sessions, and speakers on the day were from a range of different companies such as Glanbia, AgriLloyd, Teagasc, Ribworld, FRS, Veon, Coillte, Flahavans, Red Mills, DAFM to name just a few. Many of the companies who attended also contributed to the event through much appreciated sponsorship, without which the event could not go ahead. “A big thanks to everyone who helped out in organising the event, to all the companies who attended and most importantly to the students for their input,” concludes Woodcock. A very important element of the day was the commemoration of 40 years between WIT and Teagasc collaboration in education provision. Prof Gerry Boyle (Teagasc Director) gave the keynote address on the day, and in his speech he spoke about the fruitful and positive relationship that has existed for 40 years between the two organisations – a relationship that according to WIT president Prof Willie Donnelly has lasted longer than most marriages. WIT was the first third level organisation that Teagasc collaborated with 40 years ago, with WIT Ag Science students being taught some of their modules in Kildalton Agricultural College. WIT and Teagasc have recently signed a Memorandum of Understanding, and based on this document and the ongoing collaborations and linkages that exist, the relationship between the organisations looks set to last long into the future.